A stylish addition to any space, whatever your style. A popular option for putting the spotlight on kitchen islands, the 13 inch Dome is part of a set that also includes 8 inch fixtures. 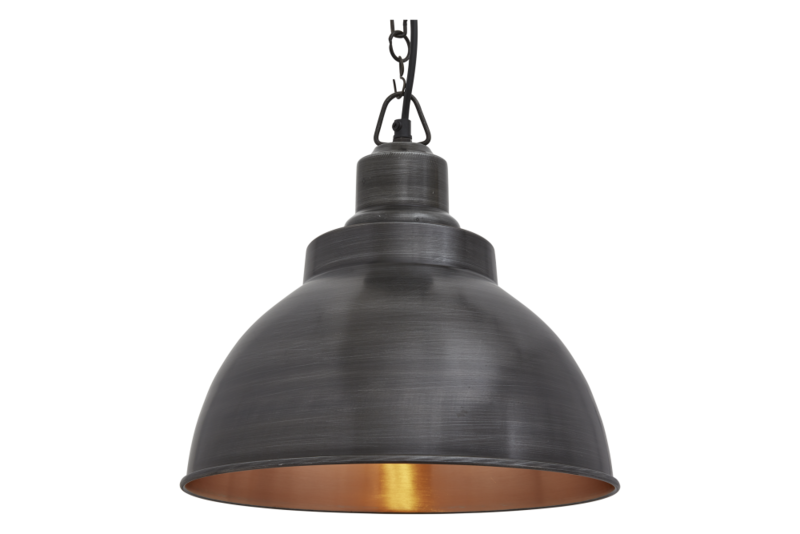 This versatile light is also available as a flush mount or with a sleek style holder, allowing to personalise the fitting and choose the best option for your home or business. This product comes with 1m of black round fabric cable, which can be adjusted accordingly.